As we enter the Cross Road at Purani Haveli near Charminar, the pleasant aroma of freshly baked naan fills our nostrils. As we move a little further, we can see shops stacked up on narrow streets with large tandoors and heaps of maida spread on the verandahs. Baking one of Hyderabad’s most favourite delicacies called the ‘Chaar koni Naan’, these shops have been constants on the map of the Old City in Hyderabad for the past three to four decades or even more. 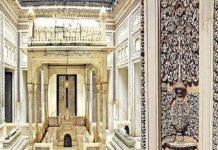 And the oldest among them is the Khadeem Munshi Naan, which is 167 years old, and was established during the era of Nizam rule in Hyderabad. Munshi Naan was set up in 1851 by Mohammed Hussain Saheb, an accountant clerk during the rule of Bahadur Asif Jaha, the fourth Nizam of Hyderabad. 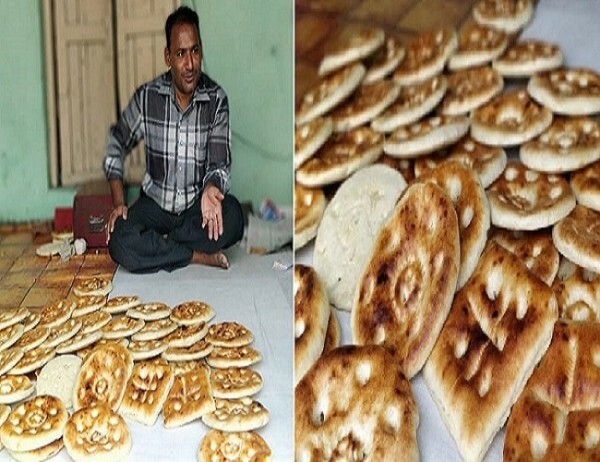 While working for the Nizam, he started the business of baking naans at a small shop in Purani Haveli, away from the hustle and bustle of the traditionally affluent Charminar and Laad Bazaar. As the naans grew to be a favourite among the dwellers of Old City, the shop began to be known by Hussain Saheb’s designation and the name ‘Munshi Naan’ stuck. Run by Hussain Saheb’s fourth generation, the shop still stands tall among the many other naan shops that opened as years passed. Tucked away at a corner at the Purani Haveli Road, one can easily spot Munshi Naan, with people queuing up in front of the shop to pack freshly baked naans along with seekh kebabs, marinated and cooked in tandoors just adjacent to the shop. What makes the Chaar koni Naan a relished delicacy is its enticing aroma and smooth texture- soft on the inside and crisp outside. Khaja Abdul Hameed, who now runs the shop, says that over 1,000 naans are prepared and sold every day at the shop in several batches. “We require around 3-4 quintals of maida every day to bake the naans. We have a set of regular customers who buy naans from us every day. 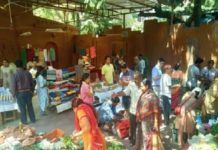 But a major part of our business is based on the bulk orders that we get for parties, anniversaries and other festivities. The Chaar koni Naan is a regular at festive occasions, especially in this part of the city,” Hameed says. The recipe of the Chaar koni Naan is believed to have originated in Delhi and travelled all the way to Hyderabad during the Mughal era. “The recipe is still the same and it’s the consistency in the taste that brings customers back to our shop. We basically make naans in two shapes. But the Chaar koni Naan is the most famous one. I’m not entirely sure about why this shape is more popular than the others but we believe that it’s easy to tear this naan shape into four pieces and share at a table,” Hameed explains. Inside the shop, charpais are spread, covered in a white fabric, and around 5 workers are engaged in grinding the flour, rolling out the dough and baking it inside the tandoors. The naans have a distinct taste, like pizza bread but better. “The naans are made of maida flour which is ground well and is rolled out using a roll pin. After the dough gets flattened, star shaped impressions are used as hand prints to carve designs on the bread. It’s then baked on the tandoor until it’s not too hard and not too soft,” workers at Munshi Naan say. The tandoors are placed outside the small room along with two clay pans filled with coal blocks. Over time, the coal is put inside the tandoor and heated until the metal turns iron hot. Meanwhile, the rolled out dough is smeared with jaggery diluted in water so that the dough sticks on to the inside of the tandoor. The breads are then carefully placed inside with a long metallic rod, a batch usually consisting of 7-8 breads. As the naans get baked, water is occasionally sprinkled on the surface so that the breads acquire a shiny texture. The naans are then carefully taken out from the tandoor 5-7 minutes later and spread on a white cloth. As they become cool enough to touch, they are collected and stacked inside the glass-doored shelves in front of the shop. 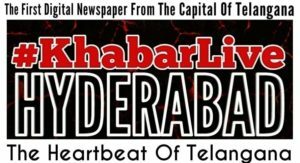 Previous articleWho Will Win The Elections In The Contest Between ‘Faith And Opportunity’ On Hyderabad’s Old City?